The Assassin’s Creed games are some of the most popular ever made thanks to their fun open-world gameplay and rich historical settings. And of course, the series is also known due to its great cast of characters like Italian hero Ezio Auditore and English pirate captain Edward Kenway. Actually, Assassin’s Creed has featured some of the best characters in gaming (perhaps due to the fact that Ubisoft’s world-conquering franchise draws from real-world history), making the best Assassin’s Creed games even more fun to play through. Here follows a list of the 10 best characters seen in the Assassin’s Creed series to date. Fan-favourite Ezio is still one of the most popular characters in Assassin’s Creed. Of all the characters seen in Assassin’s Creed to date, Ezio Auditore is arguably the most popular, most likeable of the lot. So it’s not surprising that he was the star in three games (Assassin’s Creed II, Assassin’s Creed Brotherhood and Assassin’s Creed Revelations). Plus Ubisoft’s recent The Ezio Collection remaster also focused on the Italian hero’s run in Assassin’s Creed. And in the same way Assassin’s Creed II was a big step up from the original Assassin’s Creed game, Ezio turned out to be a more interesting character than his predecessor Altair and definitely was a cut above Assassin’s Creed III’s insipid Connor. 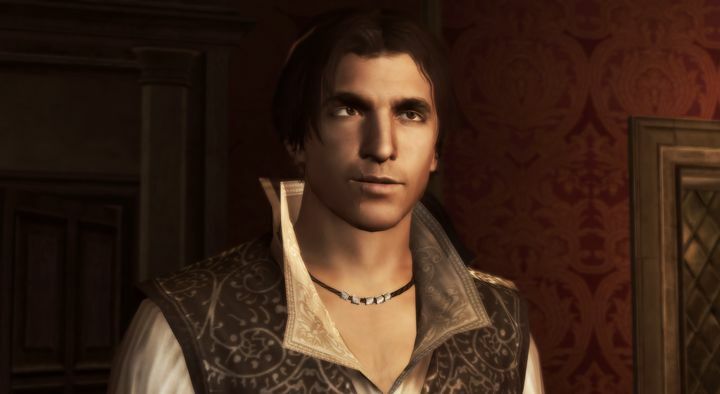 Ezio sure was a fun character to play as in Assassin’s Creed, whether battling the Borgias in Renaissance Italy, hunting for the mysterious Apple of Eden or trying out some of Leonardo da Vinci’s wacky inventions, this Italian ladies’ man is arguably the best character the series has seen to date.